Quality training and tuition in small groups. 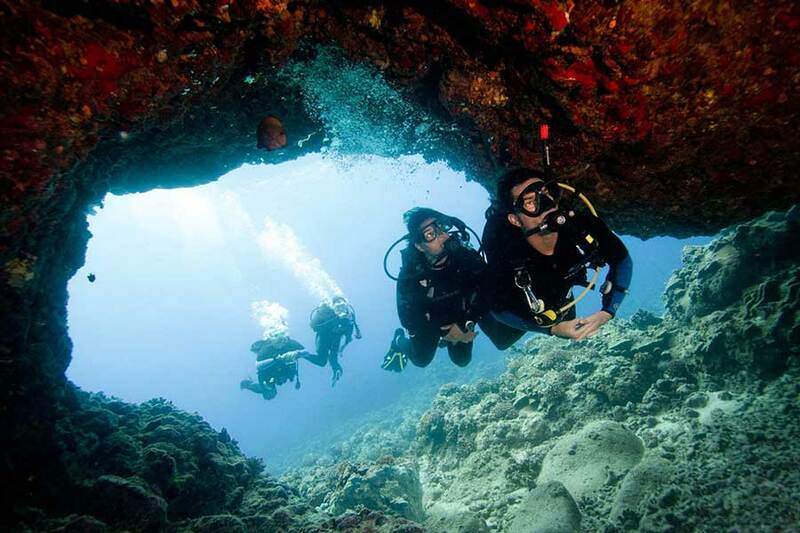 Try a dive is a first underwater experience without qualification. You can experience for the first time breathing underwater. An instructor will explain the basics relating to the equipment and the techniques to apply. 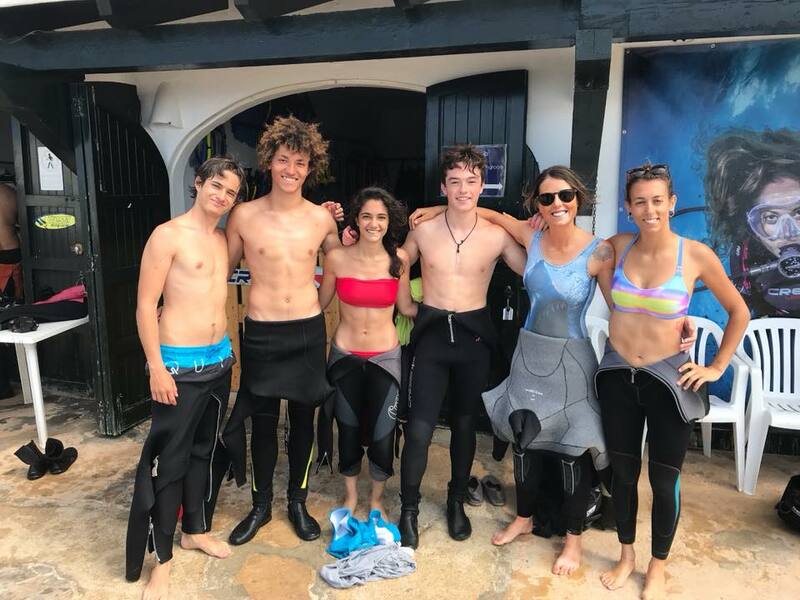 You submerge in shallow water, in the “Calita” we have right in front of our dive centre, always close at hand to one of our instructors in very small groups. The activity includes all the equipment you need and the instructor. We have available photosub gear, allowing you to take away the best memory of your experience. The PADI Discover Scuba Diving program introduces you to scuba diving with autonomous equipment in a very relaxed and safe way. From a PADI professional, new suba divers learn and practice the basic concepts of safety , the material and techniques to use in a very safe and supervised environment. Hand signs and underwater comunication. 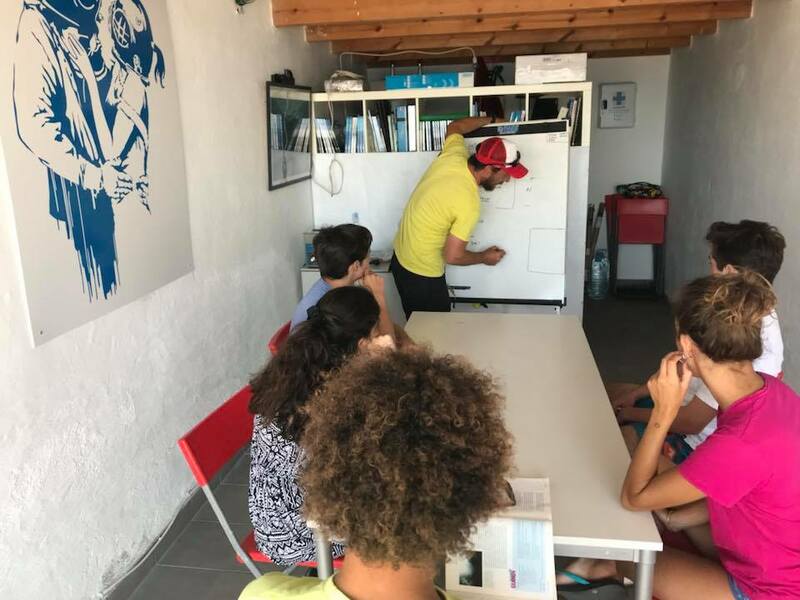 The second dive is made in open waters, with a maximum depth of 12m made from a boat consisting of enjoying an underwater excursion with your instructor. The activity includes all the equipment you need, explanatory leaflet, instructor and certificate on completion. Your ticket for scuba diving anywhere in the world. 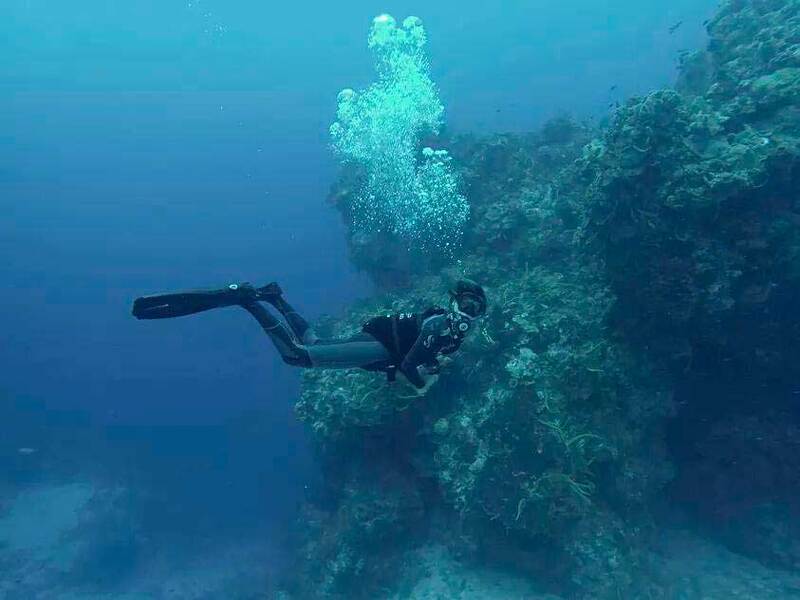 The PADI Open Water Diver course teaches scuba students the basic knowledge and techniques to buddy dive in a completely safe way, conscious of the means and without supervision. The course is made up of 3 modules. Knowleadge reviews, Confined waters dives and Open waters dives. The part of development of understanding establishes a base of general principles, procedures and information that divers need. This is spread out through 5 sections, each of which is normally achieved through independent study. Each section is completed with a knowleadge review and a test, all of this will prepare the student for the final exam. We also offer the possibility of completing this part online so that you wont need to study whilst on your holiday. 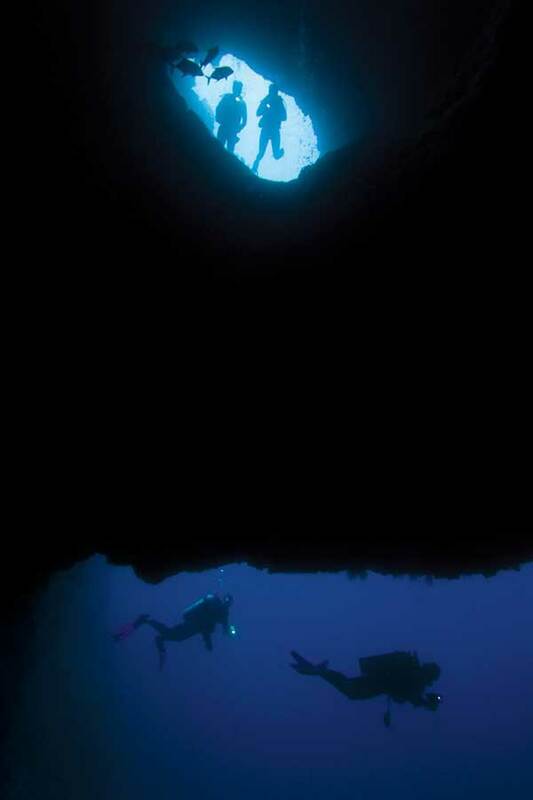 The training in confined waters puts into practice all the basic techniques that are needed by all divers in a controlled environment (shallow) and reinforces and complements the training gained in Development of Understanding. There are 5 immersions in confined waters, each corresponding to a section of the knowleadge reviews. We do these 5 immersions just in front of the dive centre, in a small “Calita”, with controlled surroundings and a maximum depth of 5m. 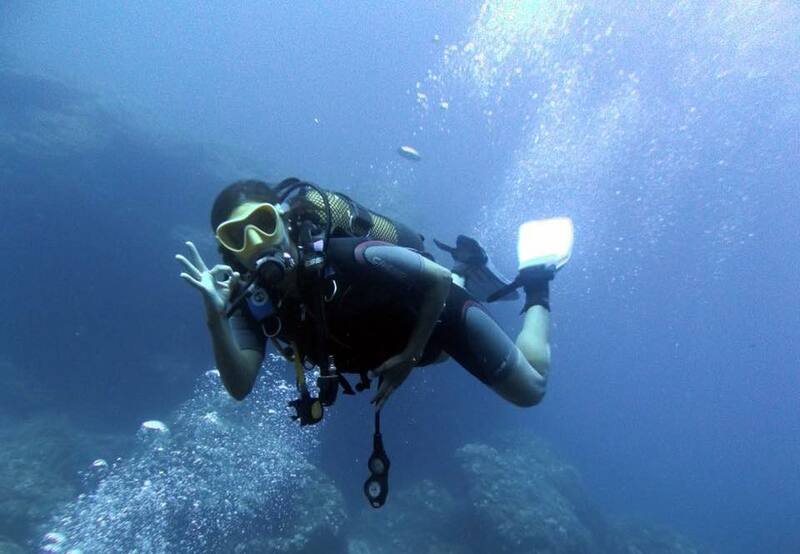 In the 4 open water immersions the principles learnt in the Development of Understanding and the techniques from the Confined waters immersions are integrated. And then applying both parts in an Open Water environment. 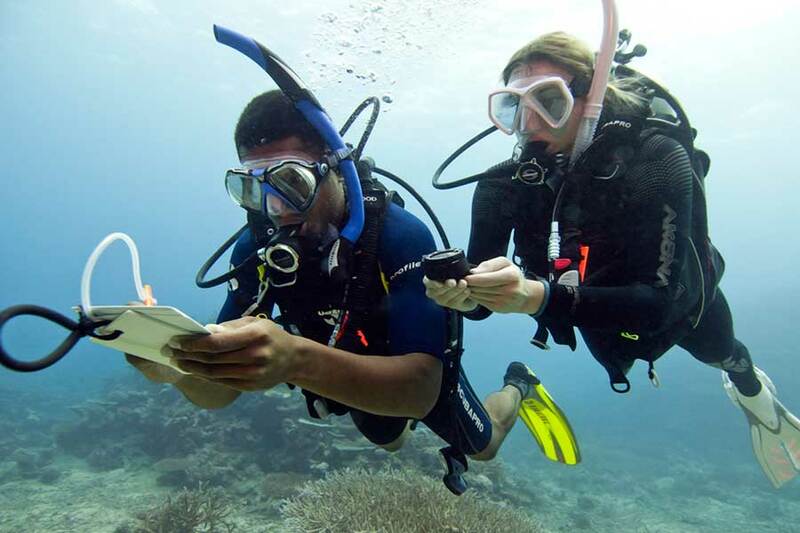 Once the different modules are complete with the a pass mark in the final exam the student gains an international qualification, allowing them to scuba dive in Open waters up to 18m in depth without supervision. For those with little time but lots of enthusiasm. 2 half days (1 and a half days). The PADI Scuba Diver course, is a subcourse in the PADI Open Water course that initiates those people with limited time and to those people interested in diving in groups in guided excursions under the supervision of PADI professionals. The qualification of Scuba Diver needs you to successfully complete the 3 first sections of the knowleadge reviews, and those 3 first tests. The 3 first Confined Water immersions and the first 2 dives of the PADI Open Water Diver course. Passing all these sections, gains the student a qualification that allows them to scuba dive all over the world, up to 12m in depth and always under the supervision of a PADI professional. 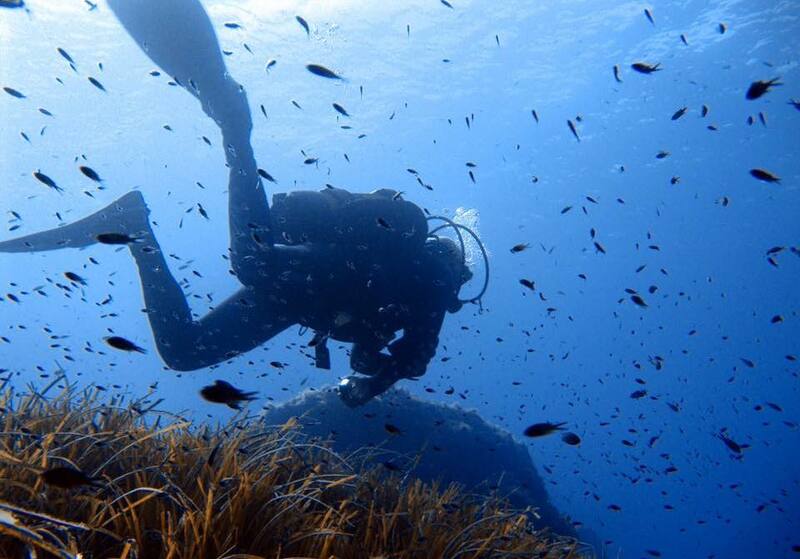 Enjoy scuba diving more by broadening your knowledge. Open Water Diver or Junior Open Water Diver. 3 dives for Adventure Diver / 5 dives for Advanced Open Water Diver. The PADI Adventure Diver program provides divers the opportunity to explore diverse specialities of scuba diving and thereby gaining more experience under water.Taking part in an Adventure immersion is the next step recommended by PADI after gaining your initial qualification. 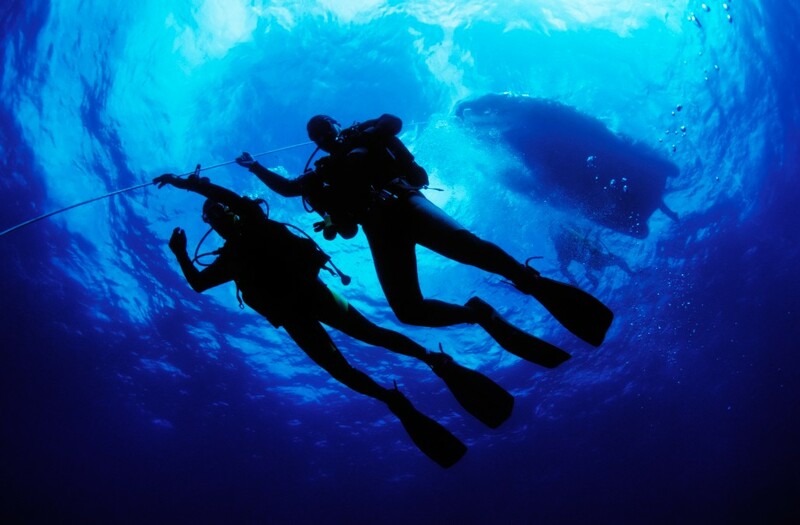 The Adventures in Diving program offers two options in qualification. Once a diver has done the 3 Adventure immersions, they are recognized as PADI Adventure Divers. The scuba diver who completes a deep dive,underwater navigation dive and 3 Adventure dives (5 in total) will gain the qualification of PADI Advanced Open Water Diver. The Adventures in Diving program is made up of 2 modules, Development of Understanding and training in Open Waters. This is centered around different diving specialities.The material introduced and used is directly related to the techniques and understanding needed to make the immersion. Again this is normally done as an independent study, and the student will need to present a corresponding knowleadge review. We offer the possibility of completing this module online. Deep dive ( neccessary for AOW). Underwater navigation dive ( necessary for AOW). Course for divers and not divers. Course participants learn simple to follow steps for emergency care and practice applying skills in a nonstressful learning environment. All courses are supported by self- study manuals, videos and quick reference cards to enhance learning and allow you start learning right away. Primary Care (CPR) – This course teaches you the steps and techniques for handling life-threatening emergencies. You’ll practice the skills for aiding patients who aren’t breathing, have no heartbeat, may have a spinal injury, may be in shock or who may have serious bleeding. You’ll learn to how to perform CPR and continue to monitor the patient. CPR & AED – This course focuses on CPR training and teaching participants how to use an AED (automated external defibrillator). This course is often integrated into First Aid at Work programs. One of the most challenging and fun courses from PADI. Advanced Open Water + Emergency First Response with a minimum of 20 registered dives. The PADI Rescue Diver Course is a fundamental step for all scuba divers to widen their knowledge and experience. Rescue Divers learn to consider the safety and wellbeing of other divers. To achieve this qualification it is necessary to already hold a first aid qualification like EFR course ( Emergency first Response). The Rescue Diver training sumarises the techniques and basic ideas of problem prevention and accident management. It prepares the students to learn how to manage more complicated diving accidents and how to apply direct intervening techniques in order to help other scuba divers with problems or difficulties. 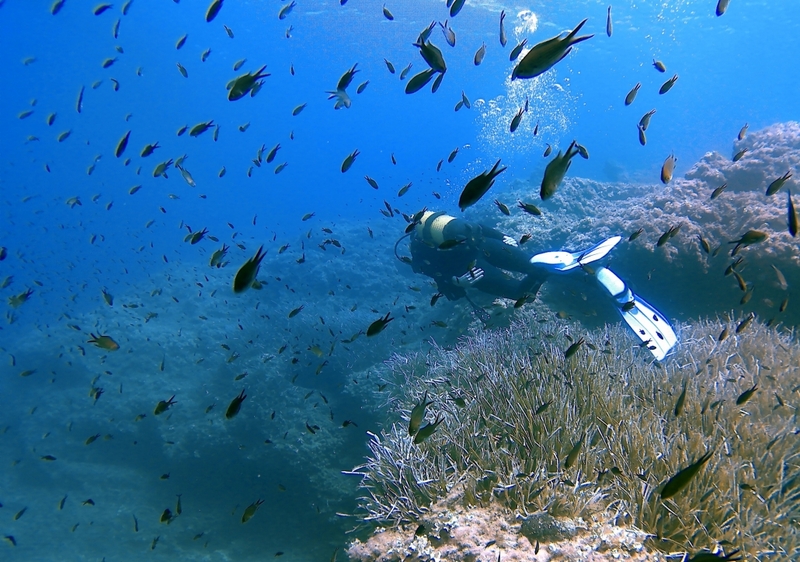 It is one of the most challenging and fun PADI courses. The course will enable you to identify and face any individual problem or that of your buddy and at the same time prepare you to be able to analyze your surroundings its limitation and possibilities so as to choose the best option to minimize or resolve the problem. The course will give you the tools to become a “thinking diver” who can anticipate problems and provide solutions depending on the variables involved. The Rescue Diver is divided into 5 sections of Development of Understanding, rescue training sessions, rescue simulations in Open Waters all coupled with a Final exam allows the student tools to develope their capacities and appreciate the value in each phase of the course. 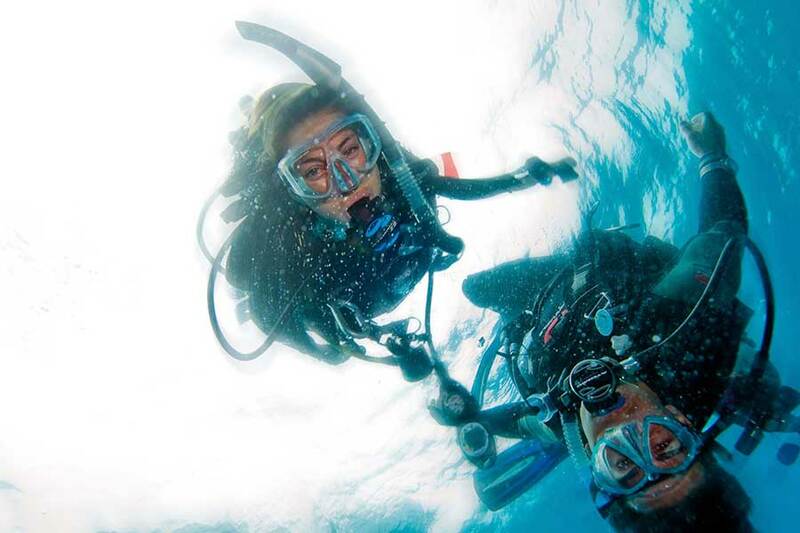 Start you career as a PADI professional. Rescue Diver with a minimum of 60 immersions. Consult our different options and Internship programs. The PADI Divemaster course is the first milestone in the world of PADI professionals. This course will prepare you to learn the resolving of problems with already qualified divers as students of scuba. The course revolves around attitude and good judgement. The attitudes which are model behaviour, professional health and following the safe practices of scuba diving. Good judgement is a derivitive of quality training. The course has clear different modules. Resistance & Water Techniques module. Independently guide qualified scuba divers. 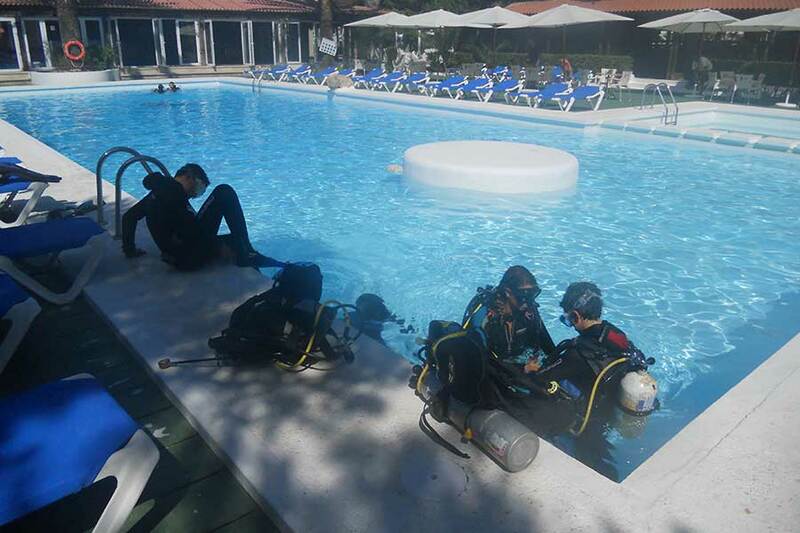 Assisting PADI instructors in teaching of other divers by independently running certain sections of some courses. Running any of the immersion for the beginners of the Discover Scuba Diver program once they have successfully completed the very first immersion under the supervision of a PADI instructor. 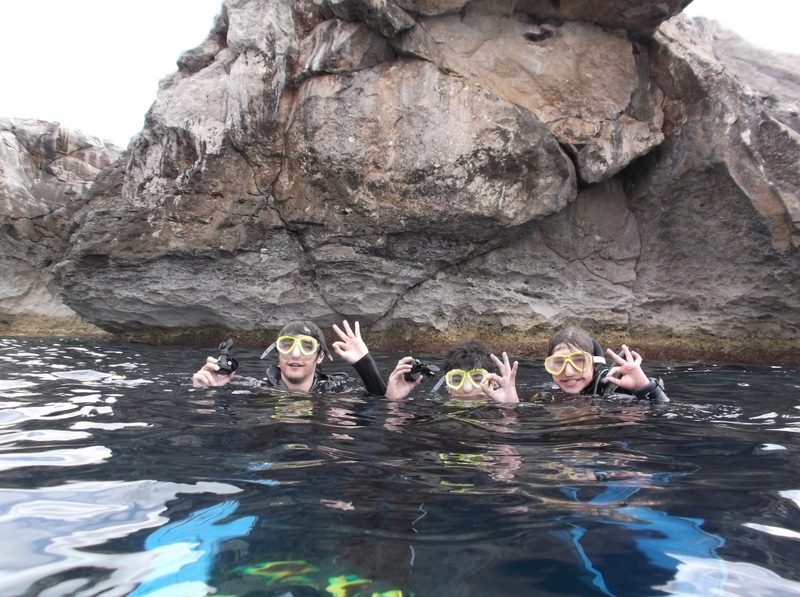 Independently teaching and certifying PADI Skin Divers & Discover Snorkeling. 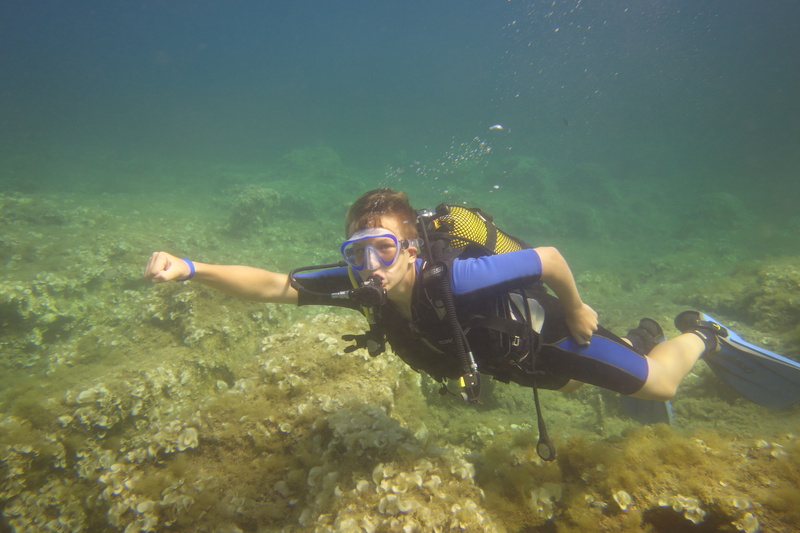 We offer the possibiltiy of undergoing an internship to qualify as a divemaster, get in touch with us and find out! Widen your training and multiply your experiences! From 10 years (depending on specialty). It depends on the specialty. We can train you in the following specialities, ask us about them! Speciality in enriched air diving (nitrox). Speciality in PPB (Peak Performence Bouyancy). And much more… contact us and find out! 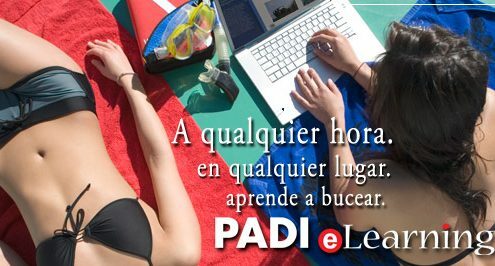 Start with the online theory today joining the PADI eLearning: study at home before your vacations and when you arrive to Menorca: let’s go to the water! Click in the picture to purchase your manual.